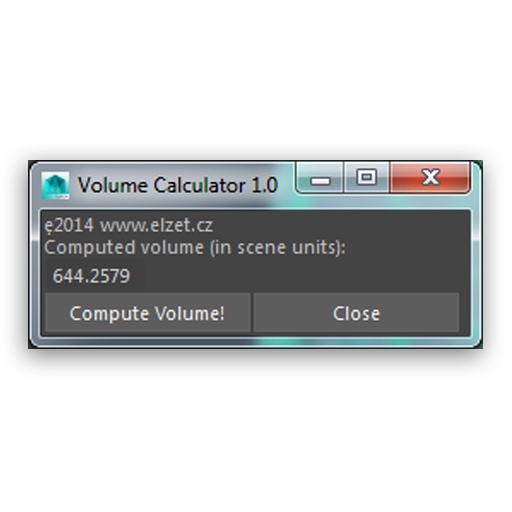 Volume Calculator is a simple GUI frontend to MEL computePolysetVolume command, which calculates volume of a polygonal objects. 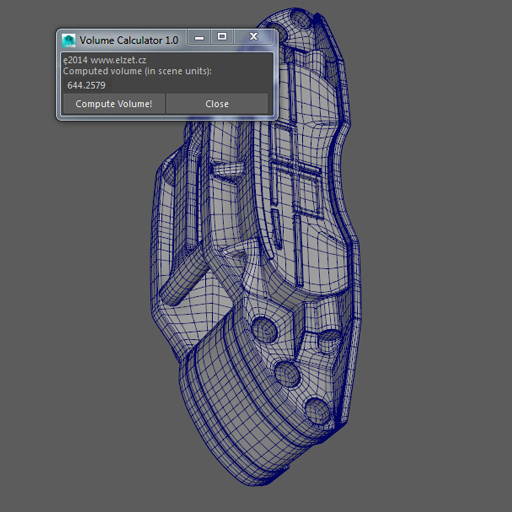 Volume Calculator is a simple GUI frontend to MEL computePolysetVolume command, which calculates volume of a polygonal objects. It works on on one or more objects and prints their volume in scene working units both in GUI and into command line.